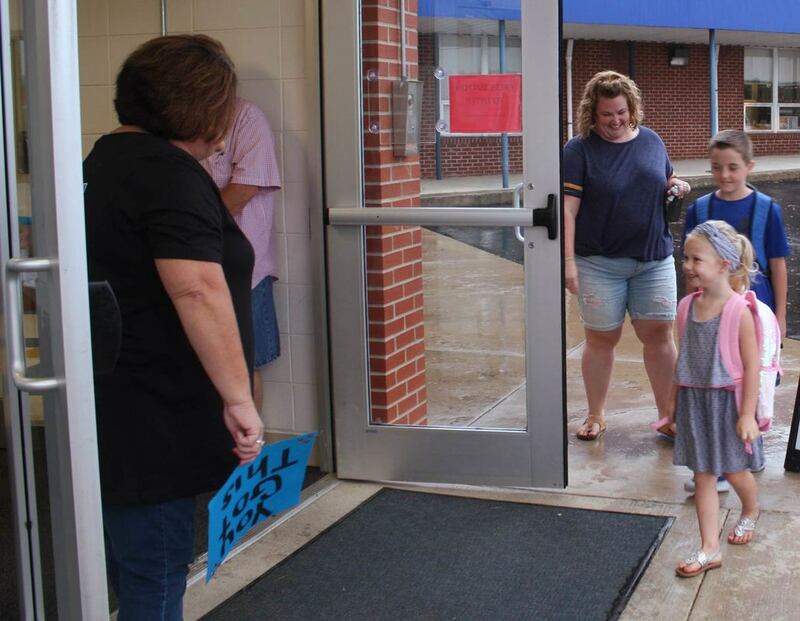 Ella Robinson, age 5, (above right) walks in for her first day of pre-school, followed closely by her brother Brady, 11, who was starting sixth grade. 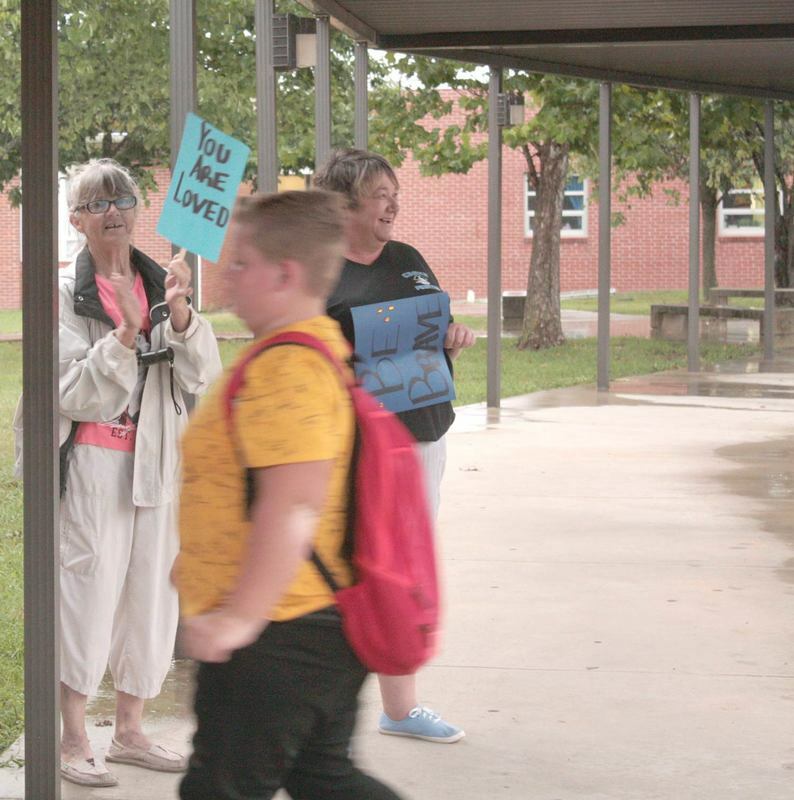 They were greeted by teachers and community members. 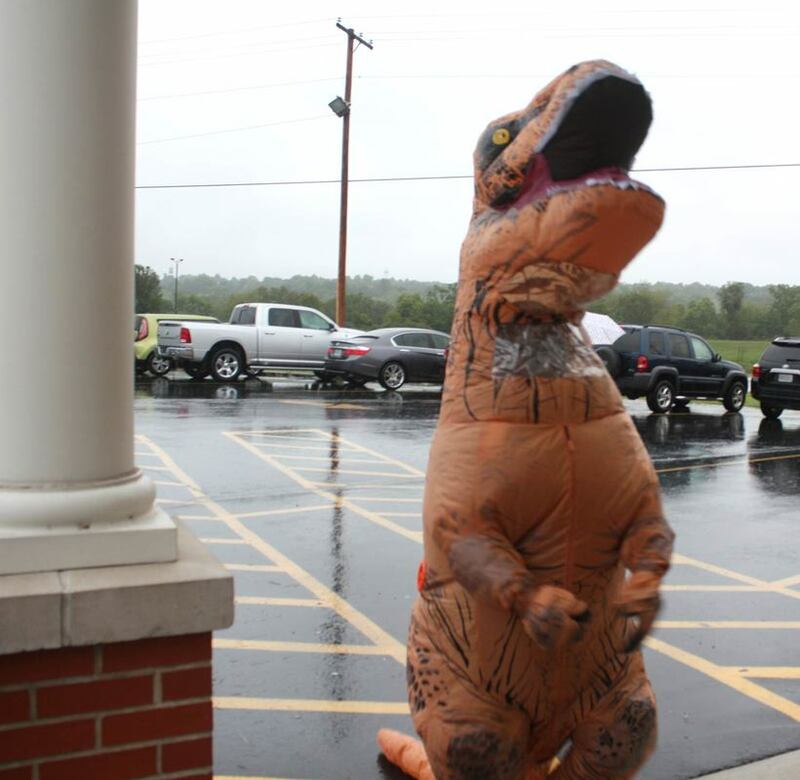 This dinosaur was also excited about back to school at Crane.